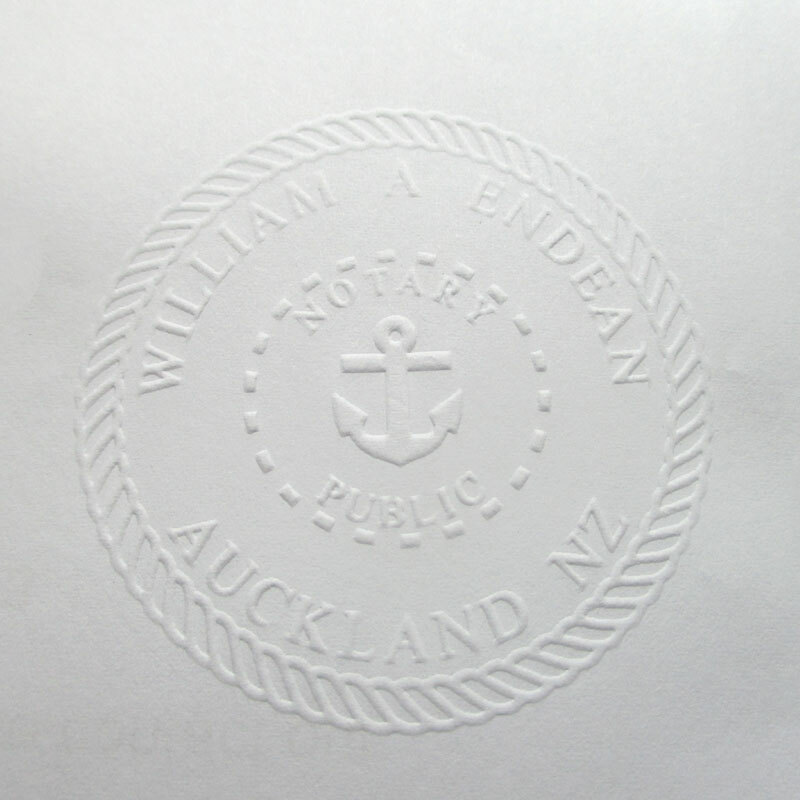 Embossing sets are used primarily by notaries public, universities and certifiers. However there is a fast growing trend for using them as branding or brand development products with a variety of applications from being on letterheads or marketing material, to actually being put onto bottles, boxes and numerous other objects. Instead of the old way of photo chemical processes or physical router engraving into metallic pieces to create the die sets, we at Stamps Plus have mastered the art of laser engraving a material called delrin. The finished product produces a terrific impression because the technology allows the laser eye to mill out intricate detail which simply cannot be achieved with the photo chemical or physical router processes. Stamps Plus has actually been nominated by an international group to have its embossing seals evaluated for an international award. Our seals can comfortably press into thicknesses of up to 350 gsm paper! 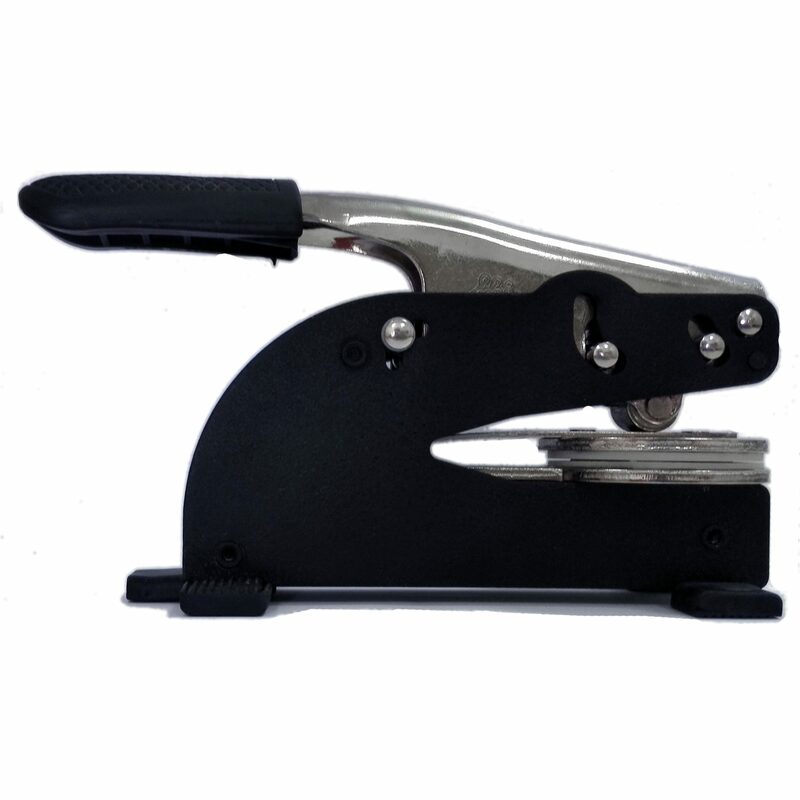 Stamps Plus provides two models of embossing seals in either rectangular format (25mm x 50mm) or circular (50mm diameter). 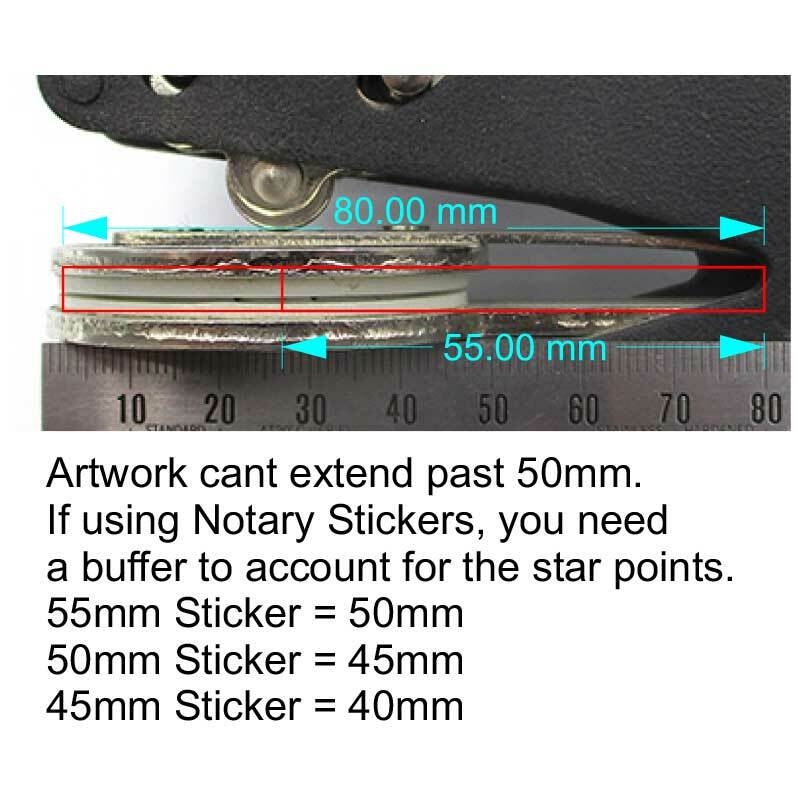 Stamps Plus also provides three categories of starburst embossing/ notary stickers in the form of 45mm stickers, 50mm stickers or 55mm stickers. Some customers use the embossing starburst stickers as ‘security seal stickers’. Please click here to see sizes, colours and pricing. Stamps Plus is also proud to have pioneered the way of producing fully customised rolls of ‘pre-embossed’ stickers. This is not an ‘off the shelf’ product but is individually crafted to suit the customers’ personal requirements. We take your design and craft the emboss tooling and then produce rolls of 200 expertly created peel-off pre-embossed stickers! A thoroughly unique and special product! Please see pricing and colour options under ‘accessories’. Tell us what you want – email us. If you are unsure as to whether or not your design would work or if there is something else you need to know or tell us, please simply email us and we will help. Please see here for Embossing Seal user guide. Designing for Embossing/ Notary seals. A quick few words on embossing; In the art of embossing, the activity is done by usually using a pair of die plates, one being a ‘female’ die and the other being a ‘male’ die. The female die is the portion of the die set that pushes a design down into a piece of paper (or other substrate) with the male die being at counterpoint underneath the piece of paper. These two components slowly squeeze the piece of paper together much the same as a pair of pliers does but instead the female and male dies intermesh – one fits into the other snugly. For this reason, design of the embossing image is of paramount importance. As we use embossing sets where the primary designs are either 50mm diameter or 25 x 50mm rectangle, artwork must not comprise of overly intricate design. Our applications are ‘single level’ embossing or ‘chisel die embossing (for deboss purposes). Embossing depicts a raised image and debossing depicts a depressed image. As far as text is concerned ‘point’ sizes in your design, 6pt and 7pt are the smallest you can go. Line thickness needs to be a minimum of 0.2mm, though all lines should be expanded/flattened at the correct size before sending your file. We require a single color, black with a transparent background. White can not be used in the design as white is treated differently to what it is in traditional printing & will cause the embossing pairs to not match perfectly. Feel free to contact us at any time for any further information or assistance regarding embossing seals.